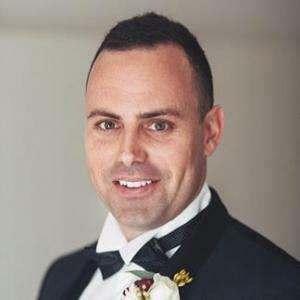 Mitchell is the Head of Partnerships at Sportsbet.com.au, having spent 6 years with Sportsbet in a range of roles. Mitchell’s intuitive marketing nous, betting knowledge and daring attitude has brought with it some incredible career opportunities at a business dedicated to customer orientation and analytical rigour. Utilising both traditional marketing strategy and highly specialised skills, Mitchell leads a very talented team of marketers and broadcast talent integrating Australia’s most entertaining brand into live sporting broadcasts. Mitchell leverages sponsorship to deliver brand energy and commercial outcomes through innovative executions such as, The Hotham. No Sponsorships opportunity is looked at through a ‘traditional approach’ because we’re here to deliver game changing excitement. Mitchell’s been an integral player in scaling Sportsbet’s operation from being Melbourne centric, to truly national. Initially tasked with cementing our brand footprint in the Northern markets, Mitchell spearheaded our rise in awareness to market leader. During his tenure, he has helped build a pivotal relationship with the NRL to a point that they are now our largest and most important partner; this relationship has proven to be the cornerstone for our push into the Eastern seaboard of Australia and his leadership within this area has helped deliver a significant increase in our NRL market share.Prior to this, Mitchell was ‘thrown the keys’ early in his career, appointed the Australian Country Manager for Centrebet, during which time, new client growth exceeded 100% YoY. This was a significant period of personal growth whilst also managing the brand, media & sponsorship strategies, along with the creative and media agency relationships whilst operating with an incredibly lean team. As a CRM Manager, Mitchell developed a personalised EDM which delivered thousands of permutations to customer across multiple products, value tiers and languages, well before ‘personalisation’ was the customer expectation.